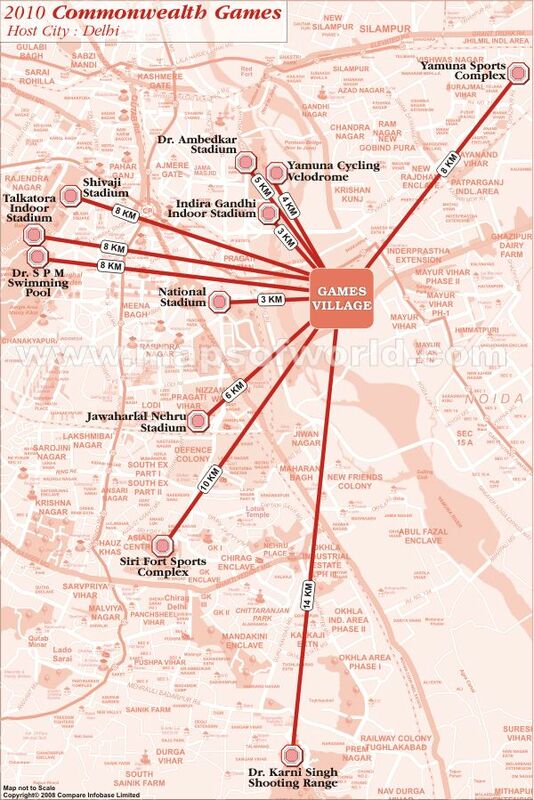 New Delhi, India hosted the 19th commonwealth games from 3rd October to 14th October 2010. It is the largest international commonwealth games in which 6081 participants from the 71 countries competed. It is the first commonwealth game held in India. Commonwealth games logo and mascot symbolizes the spirit and essence of the games. Till date 18 editions of the games have been organized in various countries and each game had its distinct mascot and logo. For each game, the mascot and logo are chosen keeping in mind the spirit of the games and the values of the host country. The logo of Commonwealth games 2010 symbolizes unity, freedom and power. Inspired by the chakra, the logo depicts an upward spiral shape of the same. This symbol stands for India's growth and also shows evolution of the country from tradition to modernity. 'Come out and Play' is the tag line used in the commonwealth games 2010 logo. This tag line is an invitation to one and all to come out, participate and the play the games in the true spirit. Green, purple, red, yellow, pink and blue are the different colors used in the logo. The color green symbolizes the fact that the Commonwealth Games (CWG) 2010 was the first ever green game. The combination of red, blue and yellow colors represent the trinity of values which are symbolic of the games. The values represented are uniting humanity, promoting equality and enabling athletes to recognize their destiny. The Pink color depicts India's glory and luxury. Purple color has been used to give calm and table influence to the logo. The ceremonial commonwealth games flag contains the seal of the Commonwealth Games Federation. Based on the changing nature of the games, the commonwealth games flag and the seal has undergone many changes. The commonwealth games flag is ceremonially hoisted at the opening ceremony; it flies constantly till lowered during the closing ceremony. The mascot of commonwealth games 2010 is Shera. Shera, meaning tiger in Hindi represents modern India; he also reflects positive attitude, intense competition, achievement, honesty, integrity and pride for country and its heritage. Shera encourages people to come out and participate in the games. In the 19th commonwealth games, a total of 17 sports were held . A number of Indian players are taking part in 16 sports in the Delhi commonwealth games in 2010. There were 272 events in 21 disciplines across 17 sports for the 2010 Commonwealth Games. In commonwealth games 2010 , there are 12 competition venues in which various sports events took place. There are 20 training venues in which training about various sports took place. The games village is used to accommodate the national and international athletes and other officials who came to participate in the games. Jawaharlal Nehru Stadium is the main stadium for the event in which the opening and the closing ceremonies were held. India participated in commonwealth games for the first time in 1934. Since then, the country has participated in 14 of the total 18 games organized so far. Weightlifting, wrestling, badminton and boxing are some of the games in which India has traditionally won medals at the commonwealth games. India's best performance at the commonwealth games was at the Manchester games in 2002 where India won 30 gold, 22 silver and 17 bronze medals.